Hug Chair utilises Lloyd Loom, a traditional yet somewhat forgotten twentieth century material, manipulated over a plywood shell and sat atop a recycled steel frame. Peterborough & Birmingham, United Kingdom; Lohr am Main, Germany. 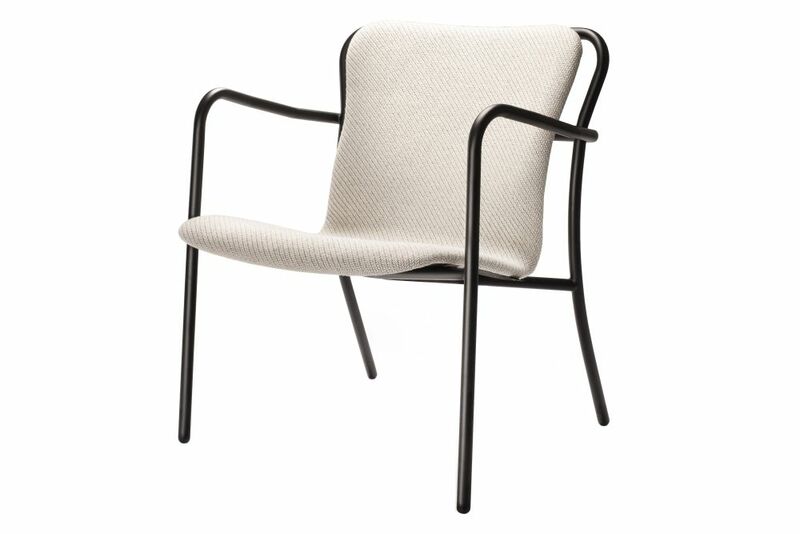 The range includes a dining and lounge chairs and is also available in Oak and Upholstered finishes. Machine-woven Lloyd Loom is manufactured out of Kraft paper twisted round fine aluminium wire. The material is smooth to the touch, impervious and remarkably strong and durable. Deadgood adopted to use Lloyd Loom in order to create a thoroughly modern range of products with a distinctive yet altogether familiar aesthetic.